SAIC alumni, faculty, and the School's Fashion Resource Center (FRC) were featured prominently in the Chicago Reader article, "Protest Fashion Is All the Rage," extolling the many facets that protest fashion takes. Rational Dress Society, an artist collective made up Maura Brewer (BFA 2006) and Assistant Professor in the Department of Fashion Design Abigail Glaum-Lathbury (BFA 2006), aspires for both unisexuality and sustainability. 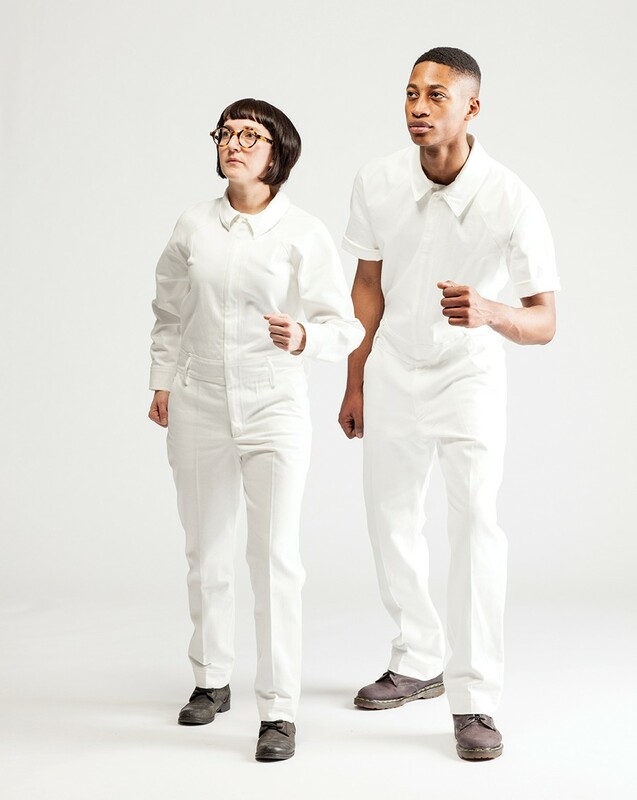 Its flagship—unisex jumpsuits in 248 different sizes that are organized through words instead of numbers, with the choice to eschew fitting in the chest—calls to mind TuTa, "a costume developed by Italian futurists just after World War I as a protest against having to buy a complete wardrobe in a precarious economy." The artists are interested in using clothing to think about social change. In her Reader article, author Aimee Levitt writes of the FRC, "It's a wondrous place... like the world's most fabulous closet." With the help of FRC Director Alex Aubry (MA 2013), Levitt was able to contextualize protest fashion within the needs and desires of different identity groups. "As a universal medium, fashion can play a role in engaging in these larger conversations surrounding identity today because everyone can relate to clothing on some level," explains Aubry. Read the article here. SAIC will welcome celebrated artist Judy Chicago to deliver the School’s commencement address on Monday, May 14, at Wintrust Arena.